Today has been a great day. First my Medical Certificate for TransGranCanaria was validated, meaning I'm 'Ready to run' 125km with 8,500 meters elevation gain in 30 hours on March 6-8. Secondly I did my personal winter triathlon test today. 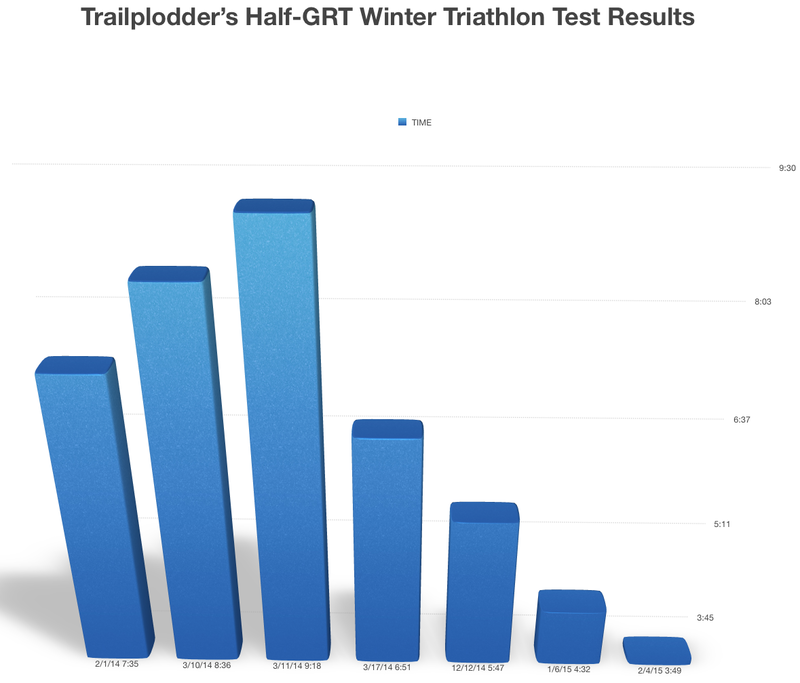 This 'Half-GRT' consisted of 1200m swim in a 25m pool, 55.6km cycling with Cervelo P3 bike on Taxc Bushido trainer, and a 13km run on the nearby 3km icy forest trail loop. The purpose of this personal test is that it allows me to observe the changes in my overall fitness over time. Long story short, I set a new incredible PR today with 3h52min. This is a whopping 40-min improvement to my previous PR set in January - which had already been one hour and a quarter faster than my 5:47 PR posted in December 2014. For comparison my best time last winter was 6:51. I charted this unbelievable progress below. 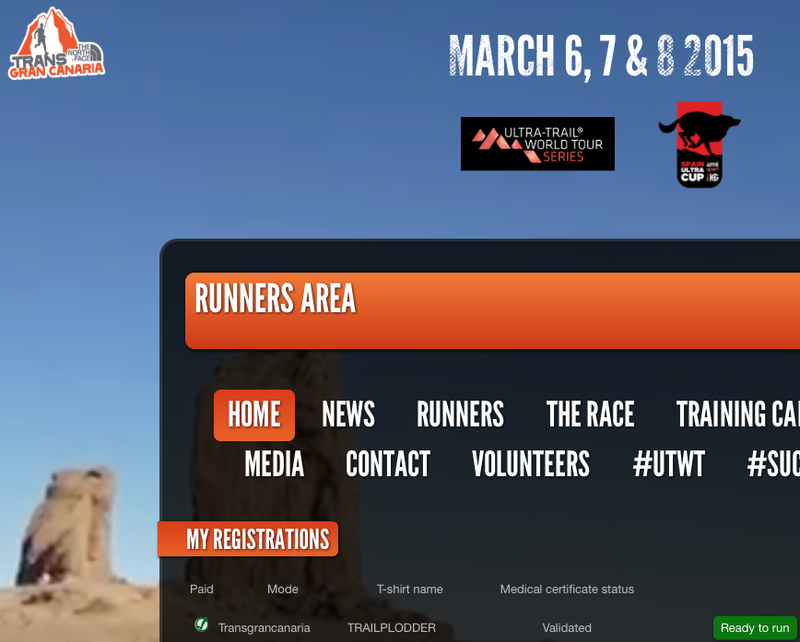 So it seems I really am "Ready to run" as they state on the TransGranCanaria website! Congratulations on your half tri test. Great progress! 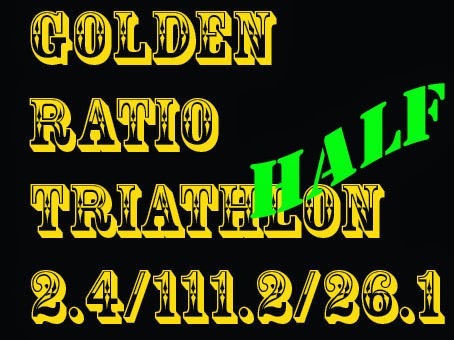 Out of curiosity what kind of training plan you are doing for a preparation to trans canaria. I am planning to run 50 miler in March, but I have had hellish time to get enough training in. Way too much travel and personal (family) stuff. Good luck for trans canaria. It is a race I want to do one of these years. Thanks Risto! I don't follow any training plan. Mainly I just try to have fun out there. I do a lot of cross-training, a lot of double/triple-workout days and a lot of back-to-back exercises on consecutive days. You can clearly see this if you check out my recent training in Strava. Nice work TP. Keep your fingers crossed for me wasatch lottery this weekend. Might have to do something across the pond if I don't get in.